The radiance in these free printable cards is shining through with flowers and butterflies. 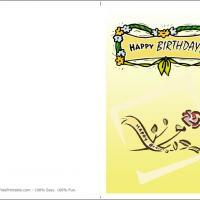 These soft yellow printable birthday cards are bedecked with flowers and ribbons, perfect to showcase your feelings for someone you care about. It makes a great card to give between friends, between couples or between family members. 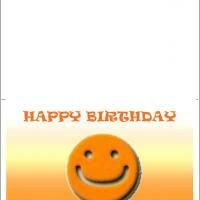 Let the radiance of your love reach that special person on their birthday by printing and sending them this card now. Don't forget to include your greetings and well wishes for your loved one; there is plenty of room for your own messages and your own graphics if you're so inclined to add them. Enjoy! Flower Love free printable birthday card is a nod to the mid-century retro vibe that is so popular right now. Notice the flower garland around the birthday message has a color scheme of yellows and oranges of that era. The lovely sketched rose has a less detailed aura but, still shows a beautiful pink rose that is given to show appreciation and admiration. So, our card is an excellent choice for a special friend's birthday. 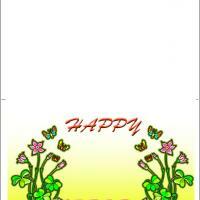 The soft and pale yellow background has morning sunshine effect just to make their honored day brighter. You will also love our custom print feature to include those personal words you so want to share to let them know you care. 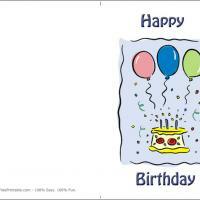 A subtle humor is shown in our free printable birthday card. Wait for it. The birthday greeting on the top is actually yelling so loud with excitement it has startled that poor pink rose so that it has fallen to the ground. The message is clear. You want them to have fantastic day. The pale yellow background is a cheerful color. The garland around the message has fun orange and yellow flowers. This card is a fine example of an understated fun card. A special friend will appreciate the card indeed. 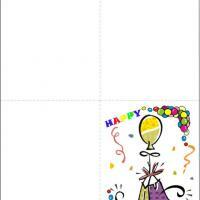 Take a few extra moments to include your personal message custom printed right inside before you print your card.